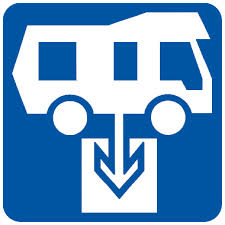 Visitors travelling in a caravan or RV who do not stay in caravan parks for the entirety of their holiday may need to access public dump points during their trip. Public dump points offer a place for users of caravans and RVs to dispose of their grey and black water, as well as sewage waste. Visiting a dump point is the most environmentally friendly method of disposing of this kind of waste. Look for the Caravan and RV dump point symbol. Greater Shepparton's public access dump points are located at the Shepparton Showgrounds and Tatura Park (20 minutes drive west of Shepparton). Please note: Access road to dump point may be inaccessible during major events. If you are unable to use this point to remove waste from the right hand side of your vehicle, please see details for other dump points and Tatura Park. While in Tatura, why not check out some of the local attractions. Available Monday to Friday, 8am to 5.30pm, with a cost of $4 per access. The dump point can be accessed off Enterprise Drive via Doyles Road (rear entry to car dealership). The National Public Toilet Map has a comprehensive listing of dump points across Australia. To find your nearest dump point, enter your location and the nearest dump points will be displayed on a map.